GNLW Decanter Centrifuge provides high-speed, variable-speed, big bowl and big volume centrifuges designed specifically to process drilling fluids/mud and drilling wastes to meet the highest environmental standards. High fluid recovery rates and efficient solids control are crucial to any drilling operations. By using GN decanter centrifuges, it will help drilling contractors dramatically reduce total drilling fluids cost and leave much less drilling waste for disposal. 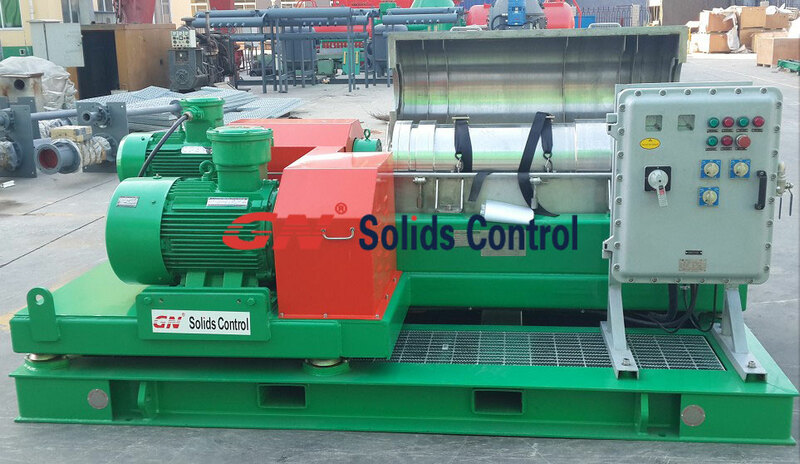 Oilfield Decanter Centrifuges for oil & gas well drilling operations are designed with solid bowl diameters of 14 inch to 22 inch and bowl length of 50 inch to 71 inch. Most centrifuges are available in Fixed Speed (G/S marking) and Variable Speed (VFD marking). 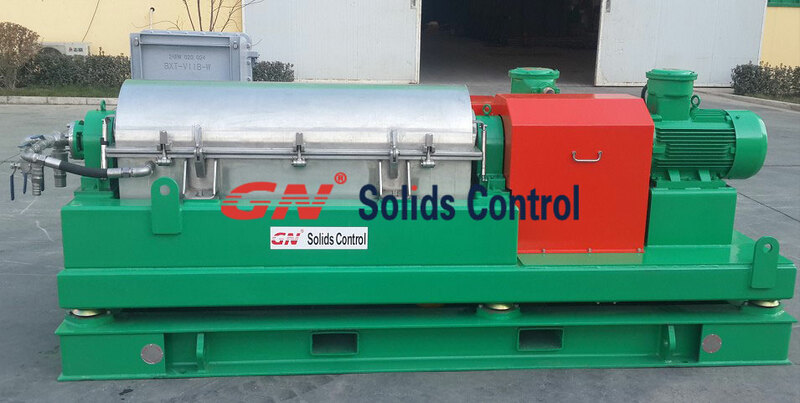 GNLW363 are cost-effective, most durable, high speed centrifuge for drilling mud solids control. GNLW553 are big bowl, big volume, high efficiency decanter centrifuge for drilling waste management. Mining & Diamond Drilling Operations Mini Centrifuge , we specially designed small capacity, small footprint centrifuge for very fine solids separation. 2. Stainless Steel 316 conveyor and main body resist corrosion and prolong service life. 3. Tungsten alloy tile protects conveyor from wearing and increases solids conveying efficiency. 4. Replaceable tungsten carbon allay ring protects solids discharge port. 6. Electrical components: SIEMENS/Schneider, ATEX or IEC Ex for option. 7. 3 overload safety protection: the first is the safety protection device of the gear box, the second is the hydraulic coupler overload protection, and the third is the control panel with over currency protection.